Carrying a naked flame on an aircraft clearly poses a major safety problem. Consequently, when the Olympic Flame was required to be transferred from continent to continent, prior to each Olympic Games, the challenge was how to maintain integrity of the flame between torches. Fortunately, the problem was overcome by utilising the invention of Sir Humphrey Davey and the ‘’Davey Safety Lamp’ which, for more than a century, ensured the safety of miners while working in potentially explosive environments. The design of a lamp is such that a naked flame cannot be obtained by an operator for the purpose of, for example, igniting tobacco! To overcome the safety feature of the lamp, Spectraglass – who are the UK’s only remaining accredited manufacturer of the glass for the lamp – adapted the design so that the safety system could be breached to enable transfer of the flame between torches whilst retaining integrity of the lamp. This feature also allows the flame to be reignited in the event that it is accidentally extinguished. 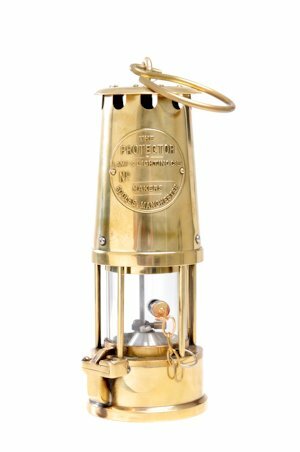 For every Olympic Games which have taken place since the Winter Olympics at Lake Placid in 1980, these special lamps have been used for air transportation of the Olympic flame. The use has also been extended for the flame and a lamp to accompany the torch on all terrestrial journeys.